When calculating the future impacts of government action, the federal government has very specific rules about how the calculation should be done. The Office of Management and Budget (OMB) clearly states that when calculating the cost of future impacts a standard “discount rate” of 7% should be used (a discount rate is used to take account of the fact that $10 today is worth more than $20 10 years from now). But when it comes to global warming regulation, that 7% rate is a problem for bureaucrats. With a 7% discount rate, the present cost of future global warming is virtually zero, even using the federal government’s excessively alarmist models. What’s a radical federal bureaucrat to do when math says that global warming will have virtually no negative economic effect? Well, they take a page from Common Core and change how they do the math. In 2010, global warming alarmists in the Obama administration set out to find a way to justify the huge costs of the global warming regulations they wanted to pursue. This effort focused on creating a “social cost of carbon,” which purports to put a dollar figure on the alleged future economic harms of global warming. The bureaucrats could then take this theoretical “cost” and use it to claim that their regulations were actually saving the economy from future damage. To estimate future costs, the government selected three integrated assessment models which try to project the economic future. Not surprisingly, all three tend to estimate substantial harms from global warming, even though there is still a great deal of debate over both how much warming might happen in the future and whether any such warming will be harmful (but for the purposes of this discussion that can be left aside). When the federal government’s standard 7% discount rate was applied to these theorized future harms, the present value of those costs dwindled to insignificance. Indeed, applied to one of the models, the present “cost” is actually negative, implying that taking no action to reduce carbon dioxide could actually be economically beneficial. In other words, more economic growth today will be more beneficial to future Americans than restrictive regulation, even if we assume significant future harm from global warming. Of course this result could not be allowed to stand. The whole point of a social cost of carbon is to artificially inflate the benefits of global warming regulation. So the bureaucrats do what they do best: change the rules to get the outcome they wanted. In this case, the Obama administration used different, much smaller discount rates. The administration publicized a calculated social cost of carbon for discount rates of 5%, 3% and 2.5%, completely disregarding the required 7%. Then they chose the “mid-range” of their new three lower rates, and announced a social cost of carbon of $36 per ton of carbon dioxide (in contrast to close to $0 per ton at a 7% rate). The upshot is that now for every global warming regulation that claims to reduce carbon dioxide (a colorless, non-toxic, non-polluting gas that is necessary for plant life on earth) is considered to be providing benefits of $36 for every ton of reduction. Given that virtually every human activity, including breathing, generates carbon dioxide, the federal government can now claim “climate benefits” for almost any regulatory action it undertakes. And just last month, a federal court deferred to the federal government’s decision to use this value for social cost of carbon. The dishonesty and inside-dealing here is obvious. 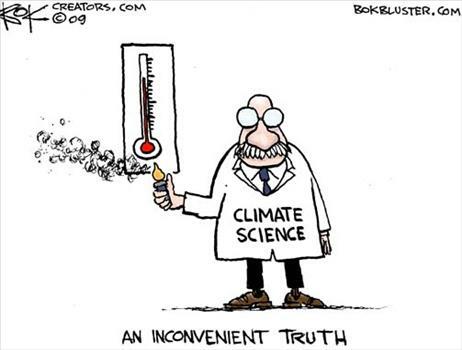 A group of global warming alarmists, using exaggerated models, disregarded federal guidelines and cooked the books until they got an outcome they liked. And there are even some radical environmentalists that say that this inflated number they manufactured is still too low! Talk about rigging the system. Pruitt's Greatest Legacy: Secret Science Reform? On July 17th, the Environmental Protection Agency held a public hearing to discuss the EPA’s proposed rule change entitled: “Strengthening Transparency in Regulatory Science”. The hearing featured the usual suspects in discussions of EPA reform: lawmakers, scientists, industry leaders, and activists. It remains to be seen what the impact of the hearing will be, but for now the discussion remains contentious on both sides. The debate over the EPA’s rule centers around what practices the EPA is allowed to use when developing new regulations. More specifically, the rule would change the EPA’s current practice of utilizing “secret science” to support more regulations on American businesses.